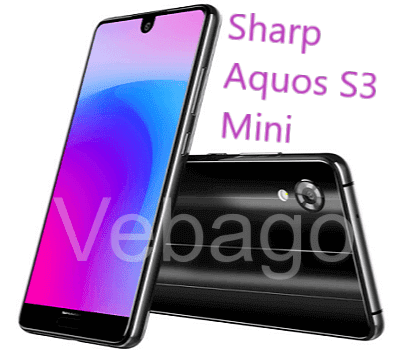 Sharp has announced the AQUOS S3 mini in China with a price of 1599 yuan (approx Rs.16,500 / US$ 252), and the device comes in Black, Blue and Gold color options. The device comes with a 5.5-inch Full HD+ LCD display with a resolution of 1080 x 2040 pixels and 2.5D curved glass. Coming to camera section, it has a 16MP rear camera with f/2.0 aperture, LED Flash, PDAF and has a 20MP selfie shooter with f/2.0 aperture. The smartphone is powered by an Octa Core Snapdragon 660 processor with Adreno 512 GPU, or by an Octa Core Snapdragon 630 processor with Adreno 508 GPU powers it. The Sharp Aquos S3 Mini sports a 6GB of RAM and 64GB of internal storage which can be extended using a microSD card up to 128GB. The device measures 142.7 x 73 x 7.8mm and Weighs 140g. The smartphone also features a face unlock that can unlock the phone. The Hybrid Dual SIM (nano + nano/microSD) smartphone runs on Android 7.1.1 (Nougat) OS with a Fingerprint sensor. The Sharp Aquos S3 Mini comes with a 3020mAh battery. Connectivity options on the smartphone include 4G VoLTE, WiFi 802.11 ac, Bluetooth v4.2, GPS + GLONASS, USB Type-C.